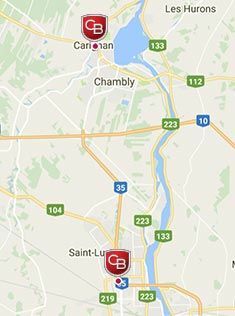 Our primary goal at Nissan Canada Finance is to offer our valued customers a hassle-free, quick and smooth transition into their next new Nissan vehicle. We want to help you and your family members make every journey a memorable one and as a loyal customer, we can deliver more! 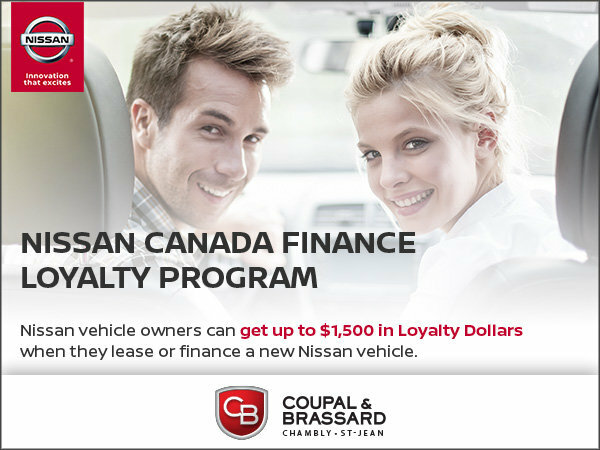 If you are leasing or financing your Nissan vehicle with Nissan Canada Finance, or if you currently own a Nissan vehicle 2007 model year or newer, you are eligible to take advantage of the Nissan Canada Finance Loyalty Program. Continue reading or click one of the links below to learn more about the Nissan Canada Finance Loyalty Program. Questions? Please contact your local Nissan Dealership - they'll be happy to help. Effective: June 1st to June 30st 2017. Please visit the “How Can I Use My Loyalty Dollars?” section below for more details regarding the application of Loyalty Dollars. Individuals who currently own or are leasing/financing a 2007 model year or newer Nissan vehicle. Eligibility for the Offer will be determined by Nissan Canada Inc. (“NCI”) in its sole discretion. Offer is not transferrable or assignable, except to a co-owner/co-leasee of the Existing Vehicle who resides within the same household as the intended recipient of the Offer. The Nissan Loyalty Offer (“Offer”) is available only to eligible customers who, in the 90 days preceding the date of lease/finance/purchase of an Eligible New Vehicle (defined below), have leased, financed or owned a 2007 or newer Nissan brand vehicle (an “Existing Vehicle”). 90-day ownership rule not in effect if customer purchased a 15MY, 16MY, 17MY within past 90-days – loyalty will only be applied to the second deal. Eligibility for the Offer will be determined by Nissan Canada Inc. (“NCI”) in its sole discretion. Proof of current or previous ownership/lease/finance contract will be required. Offer is not transferrable or assignable, except to the current owner’s spouse or a co-owner/co-leasee of the existing vehicle (either of whom must reside within the same household as the intended recipient of the offer). Individuals who purchased a vehicle under a business name can qualify for the program provided that the new deal is not a fleet deal and that the individual can provide valid documentation that they are the registered primary owner of the business. 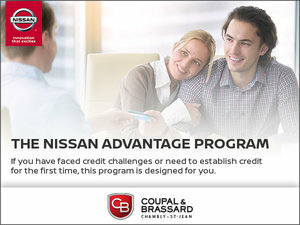 If the eligible customer elects to lease or finance a new and previously unregistered model year 2015, 2016 and 2017 Nissan brand vehicle (excluding NV, Fleet and daily rentals) (an “Eligible New Vehicle”) through NCI and Nissan Canada Financial Services Inc. (collectively, “NCF”), then he/she will receive a specified amount of stackable loyalty dollars (“Loyalty Dollars”), as follows: (i) MY18 370Z ($1,000); (ii) MY17 Armada/Maxima/370Z/GT-R/Titan XD/Titan Half Ton ($1,000); (iii) MY17 Versa Note ($500); (iv) MY17 LEAF/Frontier/Pathfinder/Altima ($800); (v) MY16/MY17 Micra /Sentra/Qashqai ($500); (vi) MY16/MY17 Rogue/Juke ($600); (vii) MY16/MY17 Murano ($800); (viii) MY16 370Z/GT-R/Titan XD ($1,000). Loyalty Dollars will be applied after taxes, which means that Loyalty Dollars are inclusive of all applicable taxes. Alternatively, if the eligible customer elects to purchase or lease/finance an Eligible New Vehicle (excluding GT-R and LEAF™) other than through NCF, then he/she will receive a three-year/48,000 kilometer (whichever comes first) Oil Change and Tire Rotation Plan which consists of a maximum of 6 service visits, each consisting of 1 oil change (using conventional 5W30 motor oil) and 1 tire rotation. For complete details on the Oil Change and Tire Rotation Plan ask your dealer. Loyalty Dollars can be applied in one (1) or more of the following four (4) ways: (i) Loyalty Dollars can be deducted from the negotiated price of an Eligible New Vehicle after taxes; (ii) Loyalty Dollars can be applied towards reducing the Annual Percentage Rate (“APR”) of an Eligible New Vehicle that is leased or financed, on approved credit, through NCF by up to 1.25% Eligible customers will receive the APR reduction off lease/finance rates currently available through NCF to a minimum of: (i) 0% finance APR; or (ii) 0.01% lease APR. Under no circumstances can rates be reduced below the applicable stated minimum APR. Amount of APR reduction will vary by model and other specifics of the lease/finance agreement; (iii) Loyalty Dollars can be applied towards the lease/finance agreement for the Existing Vehicle to help off-set payments, penalties and/or other amounts associated with ending the lease/finance agreement for the Existing Vehicle and entering into a new lease/finance agreement with NCF, on approved credit, for the Eligible New Vehicle. For the avoidance of any doubt, the eligible customer remains responsible for all payments, fees, penalties and other amounts associated with the current lease/finance agreement for the Existing Vehicle that are not otherwise off-set by the application of the Loyalty Dollars; or (iv) Loyalty Dollars can be applied towards the purchase of the Nissan Added Security Plan (“ASP”). For the avoidance of any doubt, the eligible customer remains responsible for all costs associated with the purchase of ASP that are not otherwise off-set by the application of the Loyalty Dollars. Offer has no cash redemption value and can be combined with other offers. Offer valid on Eligible New Vehicles purchased/leased/financed and delivered between June 1st, 2017 and June 30th, 2017. Conditions apply. Model(s) shown for illustration purposes only. Offer subject to change or cancellation without notice. While quantities last. Ask your dealer or visit www.nissan.ca for complete details. Nissan names, logos and slogans are trademarks owned by or licensed to Nissan Motor Co. Ltd. and/or its North American subsidiaries. ©2017 Nissan Canada Inc. All rights reserved.